Babies spend a lot of time in their cribs staring up at the ceiling, which is why mobiles were created. You'd get bored with that view, too! There are literally thousands of different kinds of mobiles for every taste and decor, but these team-themed mobiles are simply adorable! 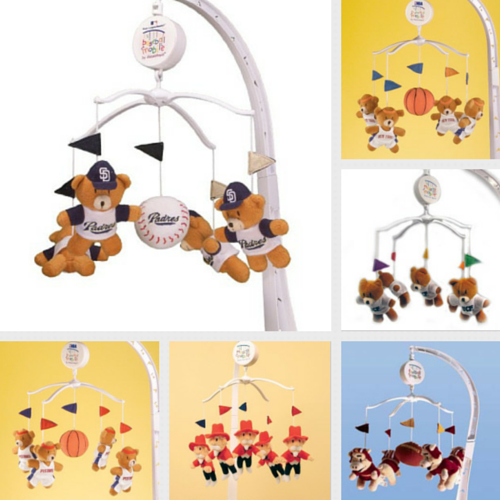 Whether you're new parents or looking for a memorable baby gift, a crib mobile in the family's favorite sports team will be a total home run, slam dunk, touchdown...you get the point! Which crib mobile do you like best?